Our guide will take you to Hanoi Train station for a night train to Lao Cai. Overnight on 4 berth soft sleeper sharing cabin. You can leave all your luggage at the hotel in Hanoi. 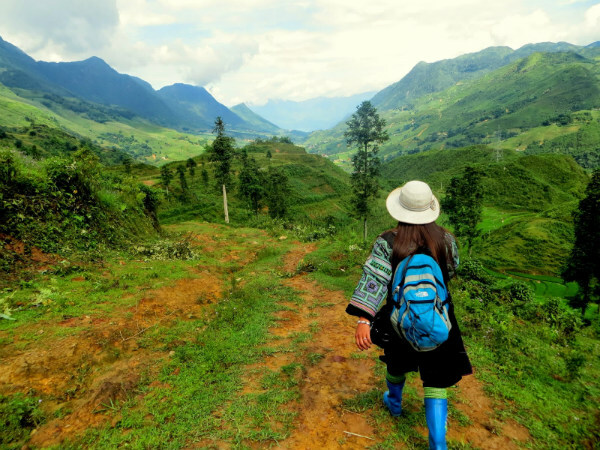 Meet your guide and driver at Lao Cai station upon your arrival, take a quick shower and enjoy breakfast in a local restaurant before transfer uphill the Hoang Lien Son mountain range. The smooth road winds its way higher and higher on the mountain slopes. After an hour drive, arrival Sapa, have breakfast in hotel or local restaurant. 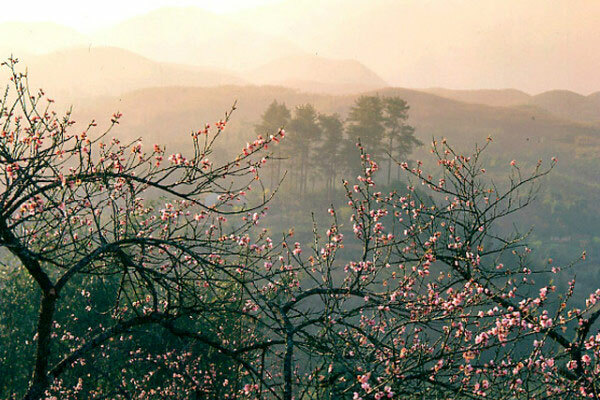 Then have time to visit visit Sapa’s market and church before ascending uphill the Ham Rong mountain for visiting a charming orchid garden and great view of Sapa town as well as Fansipan mountain and surrounding valleys. Check in your hotel and enjoy along break before Lunch. In the afternoon, met up again at your hotel at 3:00 P.M by local guide and driver then depart for the Silver Waterfall. The Silver Waterfall is located about a half hour from Sapa town which offers stunning views over surrounding mountains and lush forests belonging to Hoang Lien National Park. You are advised to stop by a farm for a cup of tea and talk with people to understand their local life. 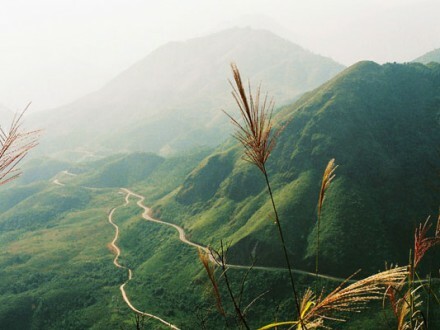 Then we continue our drive uphill to the Heavens Gate, the highest stretch of road in Vietnam as well as the provincial border of Lao Cai and Lai Chau provinces. Enjoy fantastic view over the valley! Met up at your hotel in Sapa by local guide and driver then transferred to Thanh Phu Bridge. 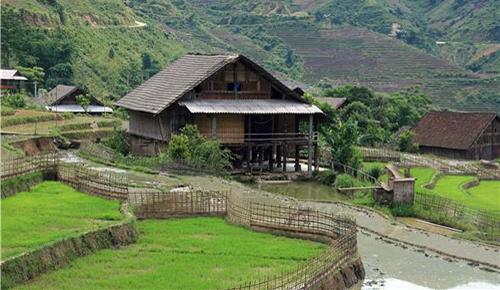 We will trek along the Ngoi Bo River for 1 hour, then uphill to Muong Bo Village at the center of Thanh Phu Commune where your lunch will be provided in a local house. After lunchtime, you head to Sin Chai B village. This is a village of of Red Dao people. Dinner and overnight in a bamboo hut in the village. In the afternoon, we continue our trip towards Ban Ho village where it will be possible to take a swim. Please check your guide’s advice before jumping on the water. 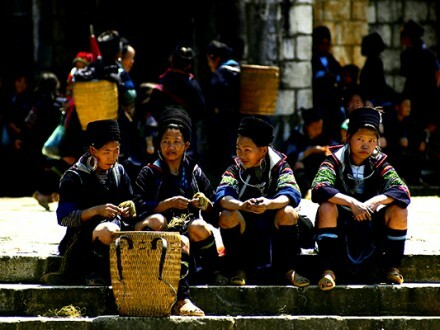 Then our vehicle will transfer you back to Lao Cai from Ban Ho. You can have a dinner on your own at one of the restaurants around Lao Cai Station.